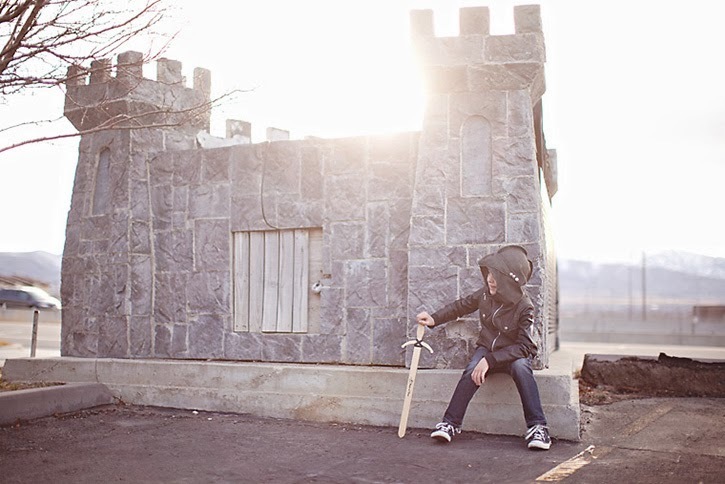 Make It Handmade: Knight Hoodie Winner! 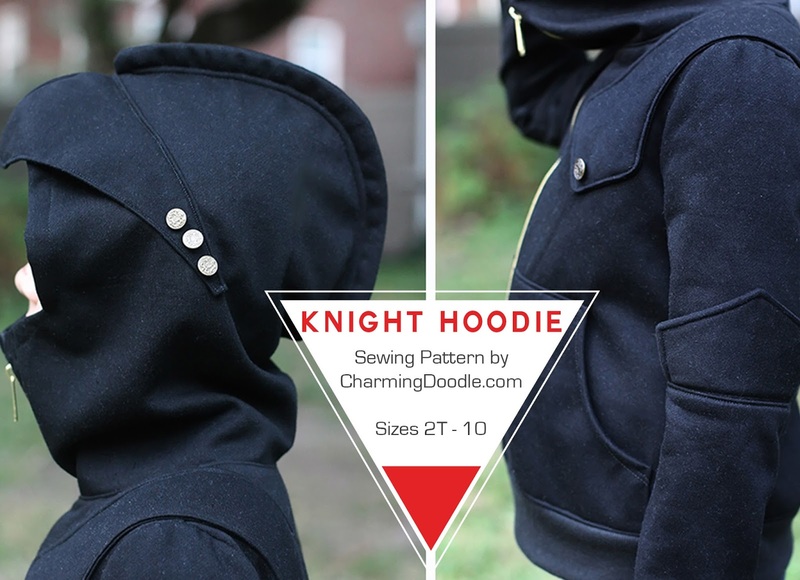 We have a winner for the Knight Hoodie pattern from Charming Doodle! Moira is our lucky gal! Congratulations! For the rest of us, we can still use the coupon code 'Handmade' to get $2 off the price of her pattern. Don't have Knight hoodie fever yet? You will soon! Check out these two incredible versions. First this one from Mingo and Grace that looks like a real knight outfit. In her post she gives tips on how to apply the shiny textured material to the hoodie. If you've been following on facebook, you know I've already gone on and on about it, but I just can't get over how cool it is. Get the details of her look here. And this, from Leximade. Not only is the photography absolutely incredible (like, where did she find that castle? ), but she put in a zipper and metal buttons. I love how it kind of references a real knights armor, but when the hoodie is down, it just looks like an ultra cool jacket. Get all the details of her jacket here. You can see other versions of this pattern by visiting the rest of the gal's on the blog tour.